Find here your deals and coupons Danubius Hotels. 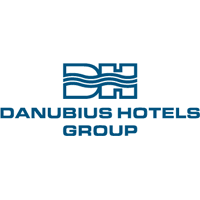 Danubius Hotels is a high standard health and wellness hotel chain from Hungary. With its 44 hotels, it is one of Europe’s most significant hotel enterprises with great properties in: Hungary, Great Britain, the Czech Republic, Slovakia and Romania. A wellness specialist for Spa lovers, Danubius provides unique gastronomic and cultural experiences for visitors. Wellness & Spa Hotels specialists. High quality hotels in the capital of Spas and trendy Central Europe cities.